Submitted by ken on May 17, 2007 - 8:56am. 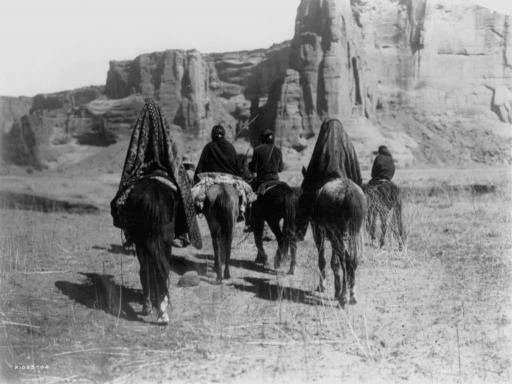 Navajo Indians on horseback making their way over the dry, grassy floor of Tesacod Canyon, Arizona. Photograph by Edward S. Curtis, 1905.